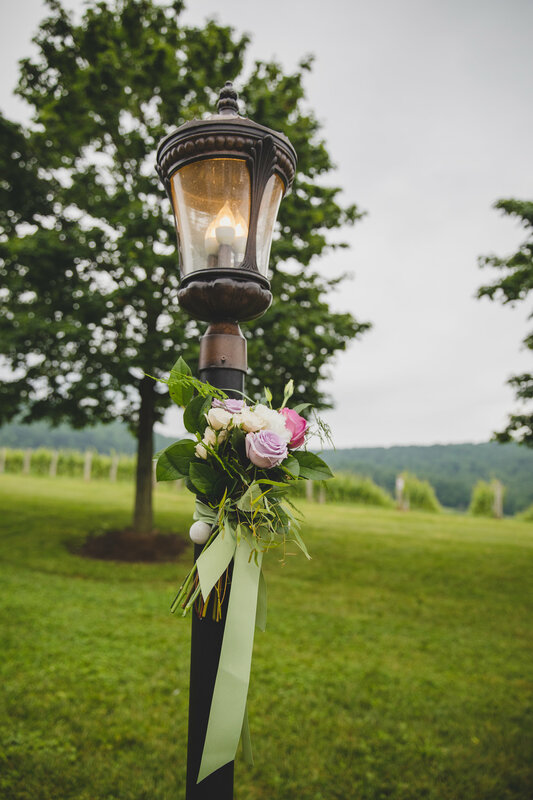 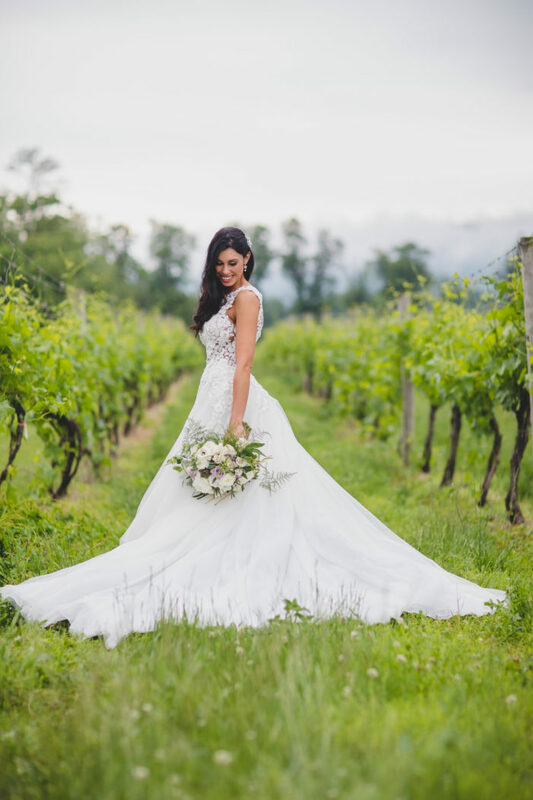 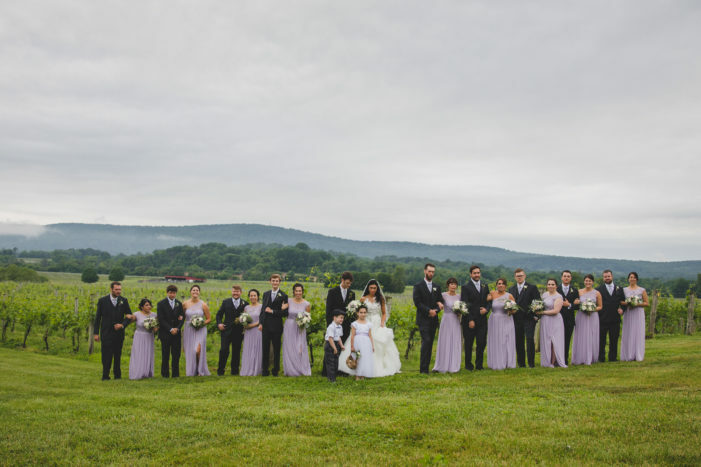 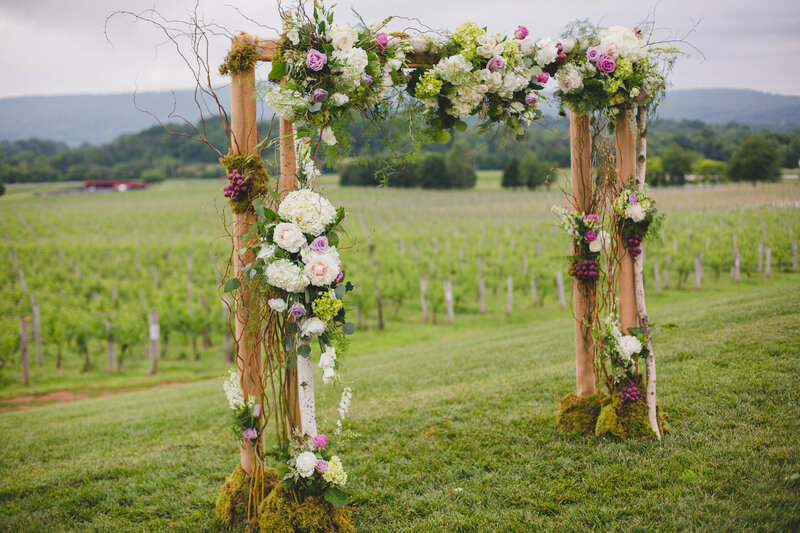 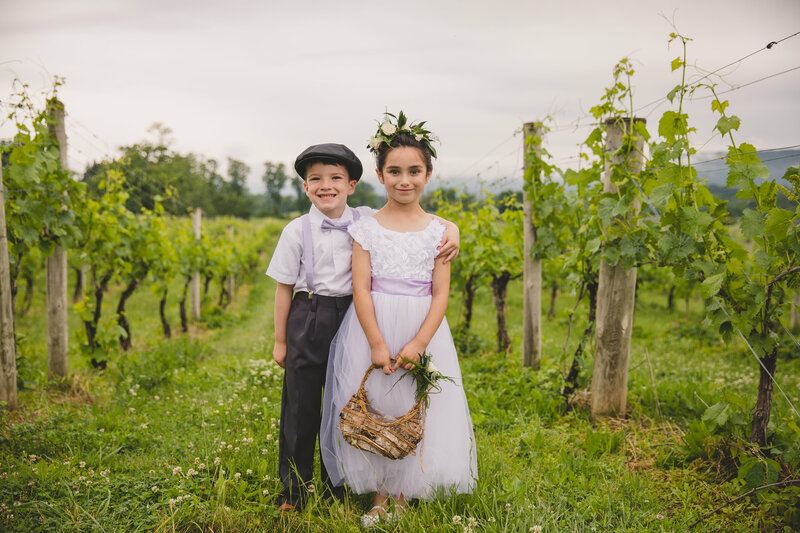 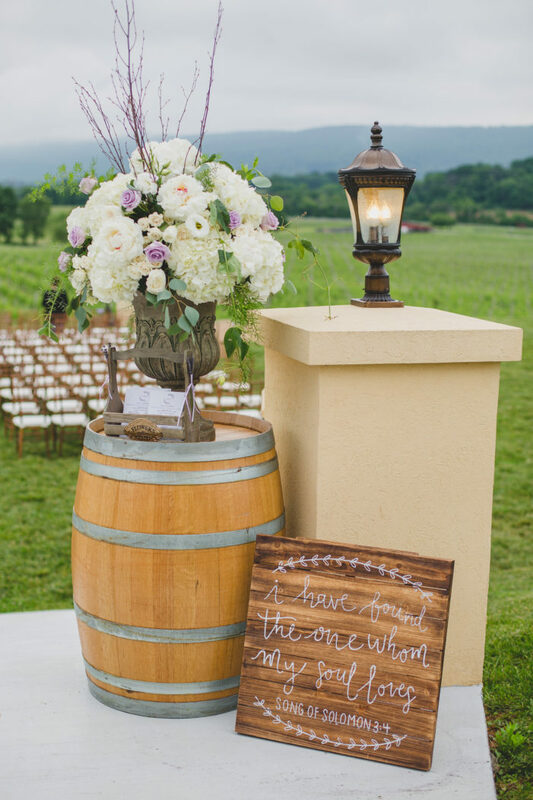 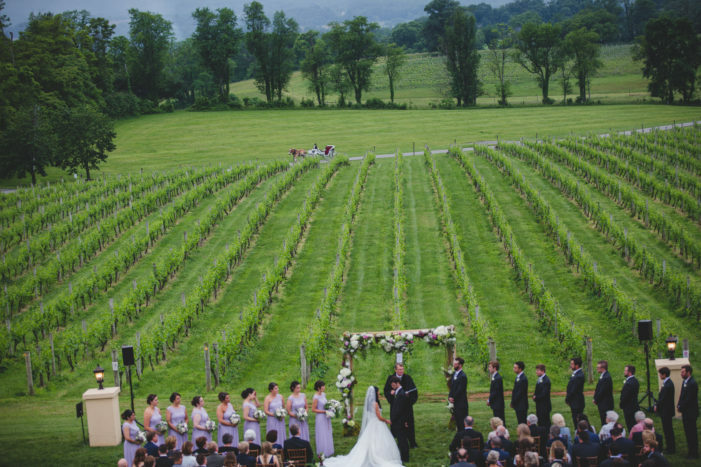 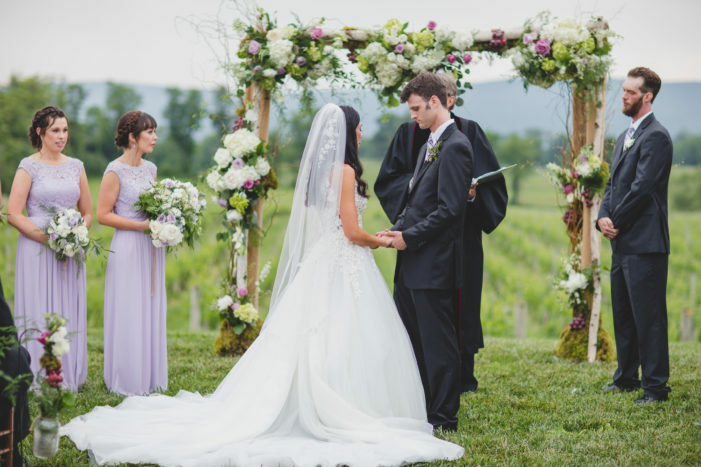 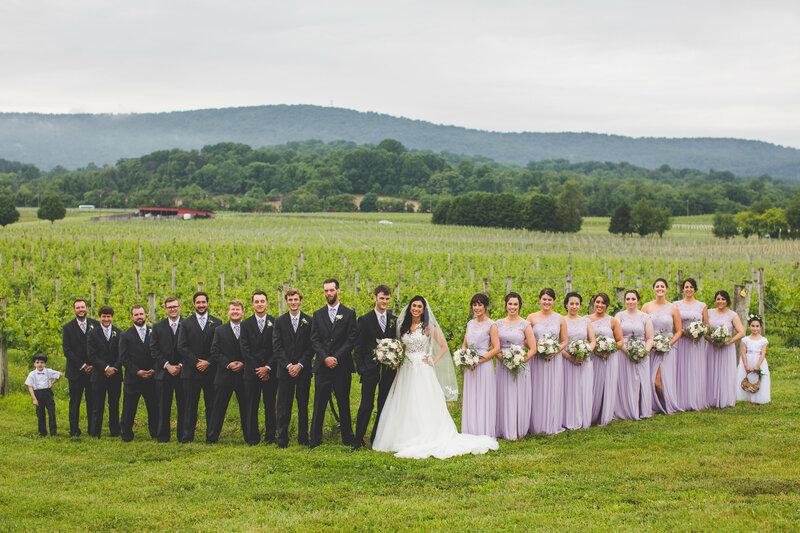 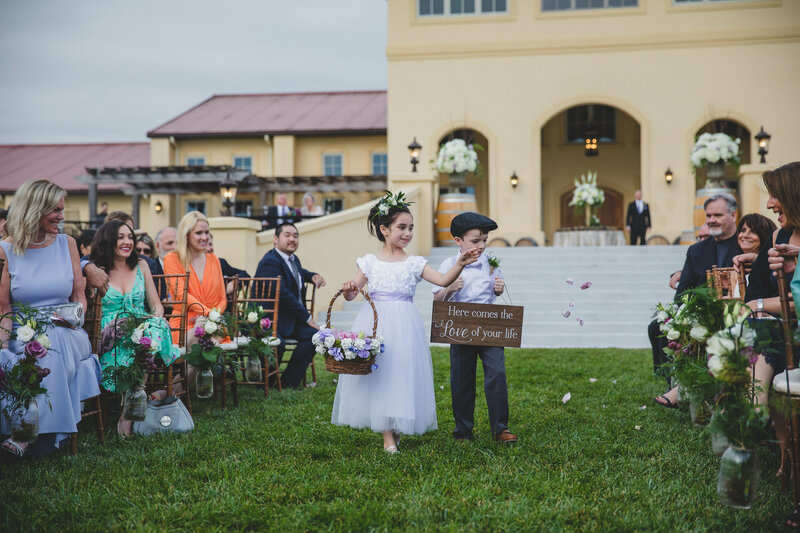 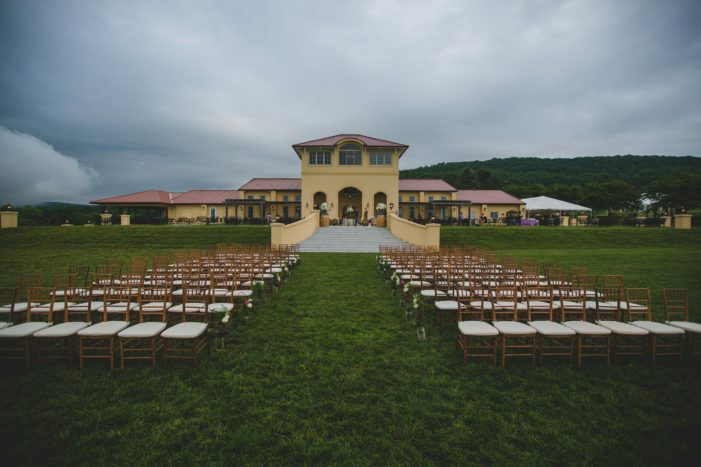 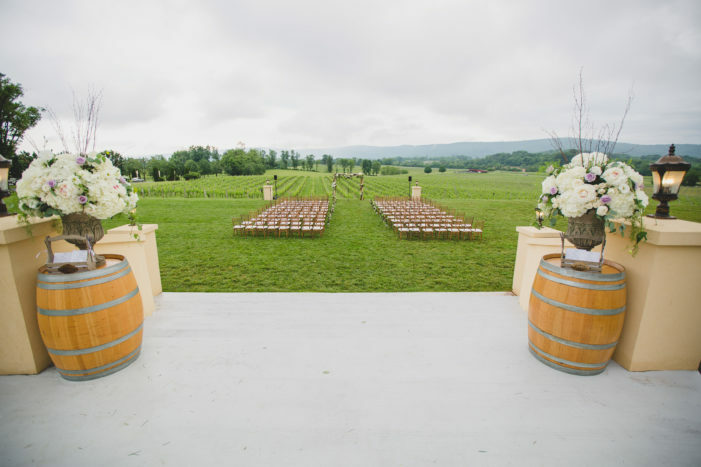 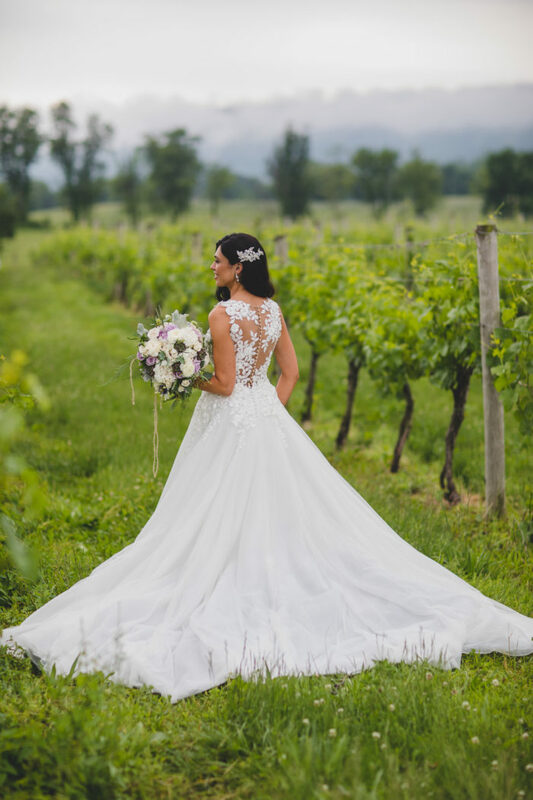 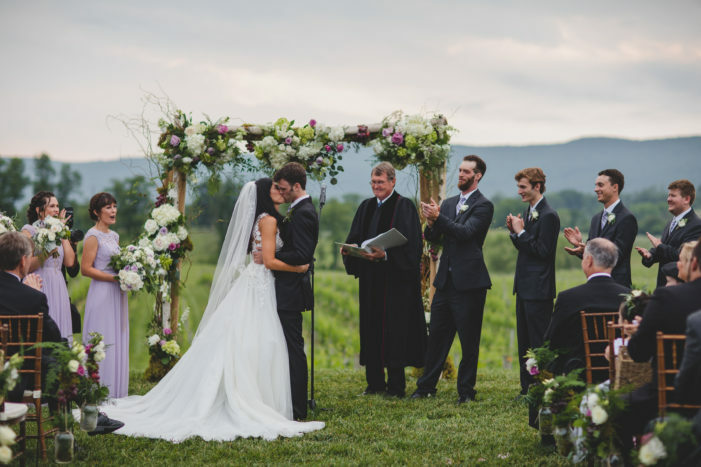 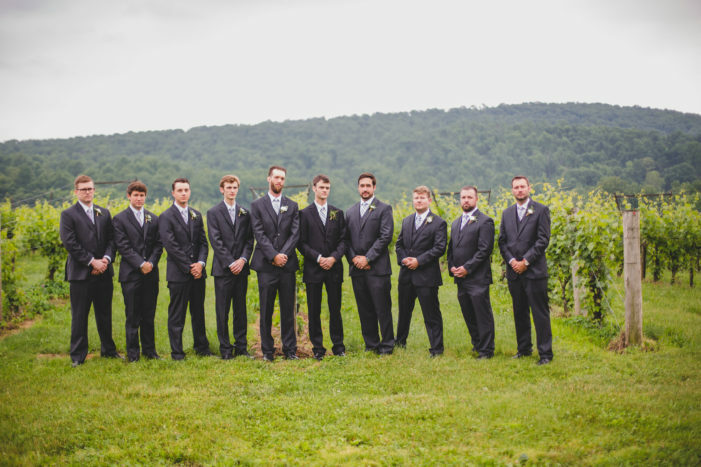 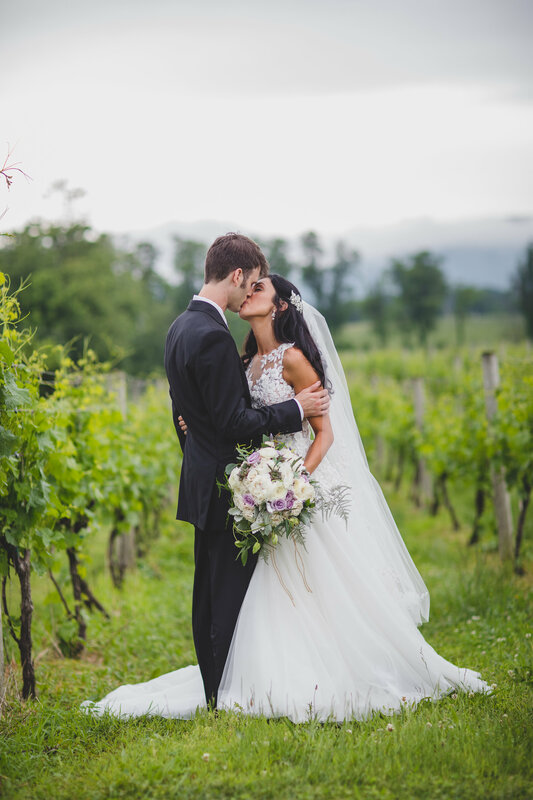 Breaux Vineyards is a beautiful Virginia wedding venue that is host to sprawling ground and a mountain backdrop. It was perfect for today’s outdoor wedding ceremony. Erika and Walt’s modern fairy tale wedding is really taking us back to our adventures in Disney World last week! 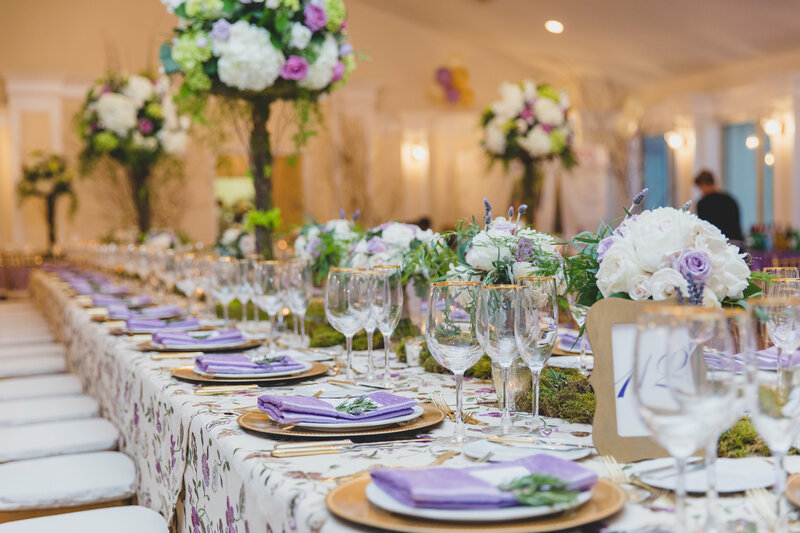 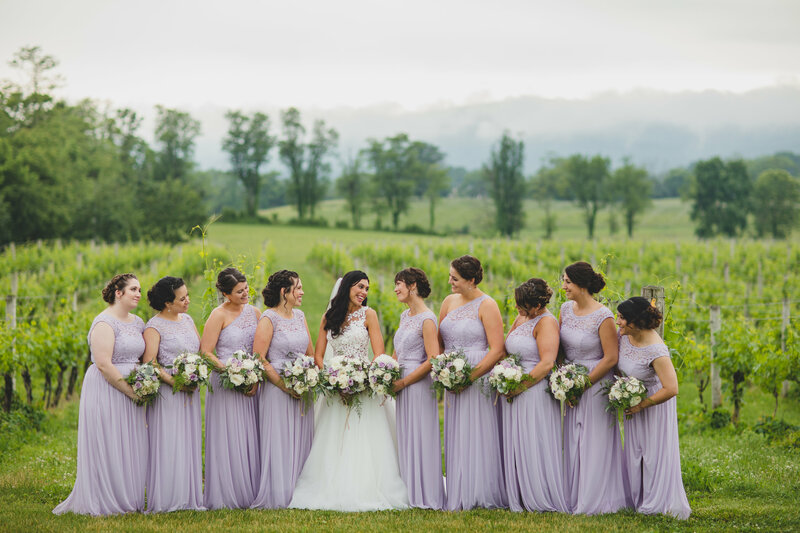 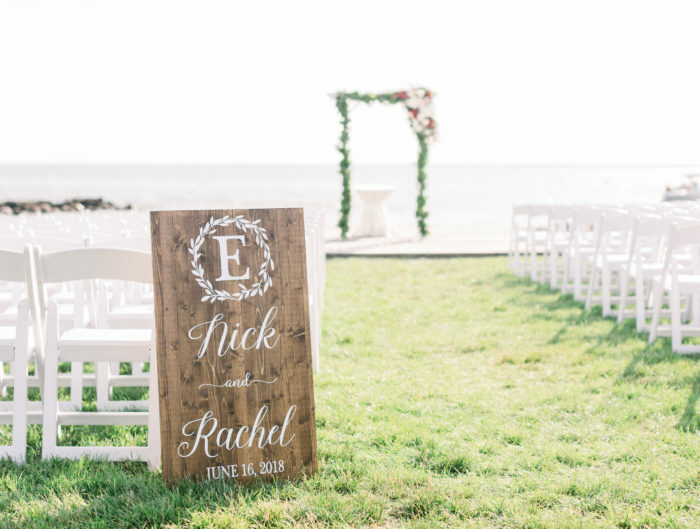 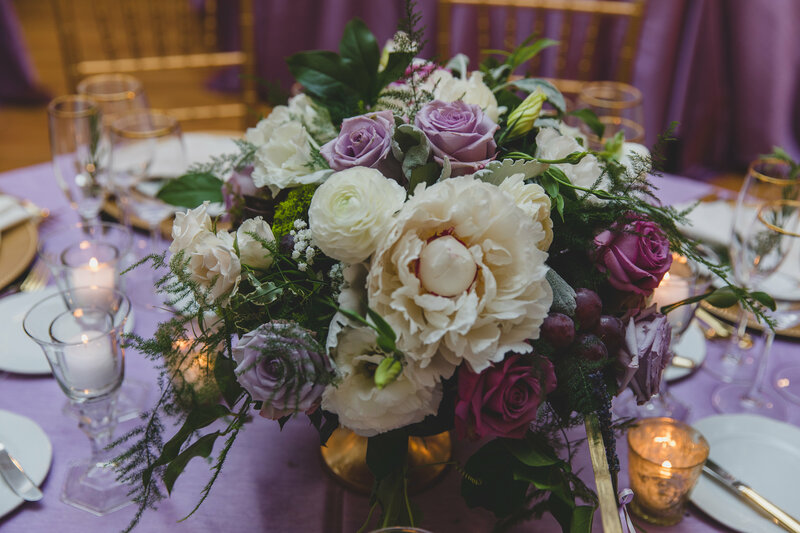 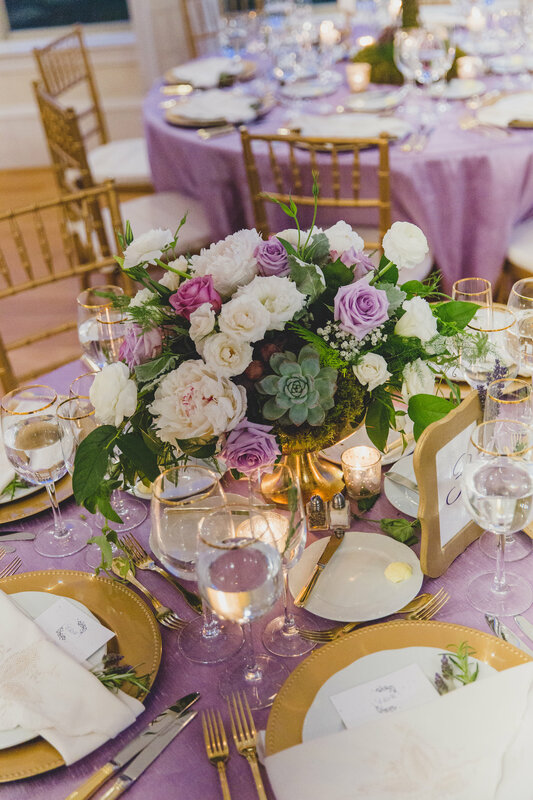 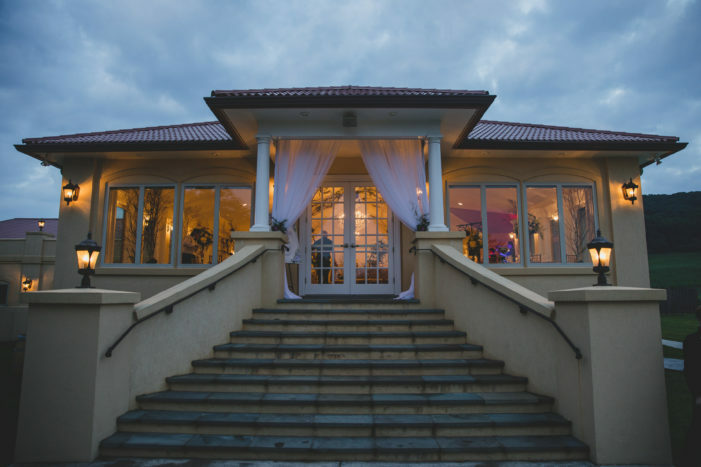 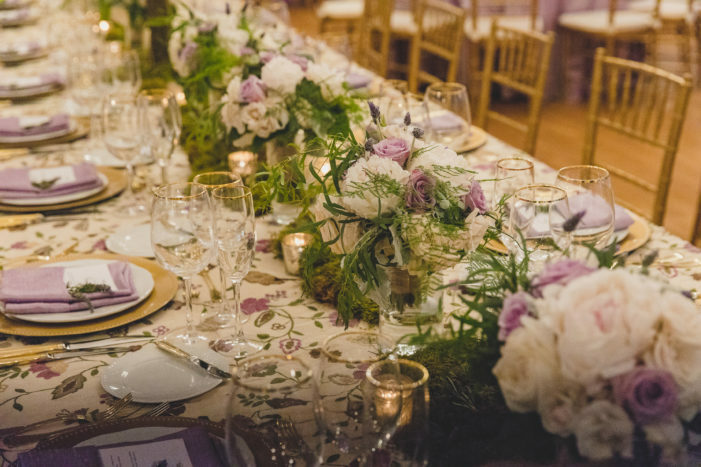 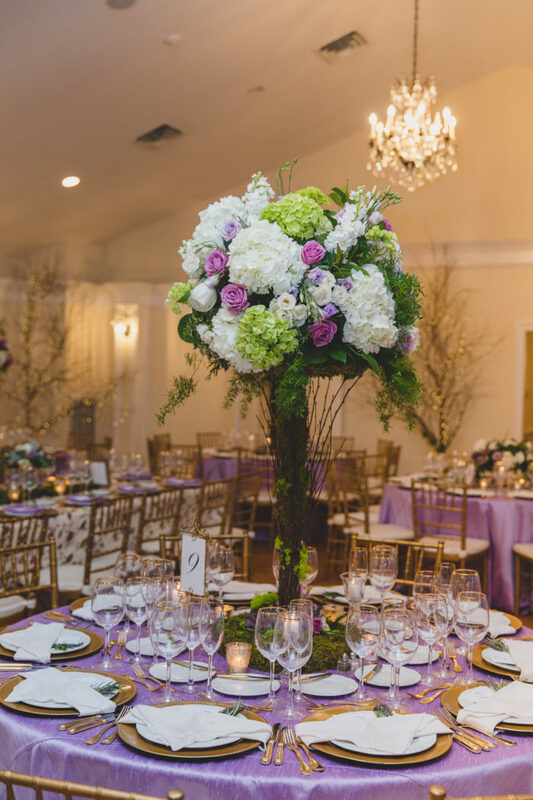 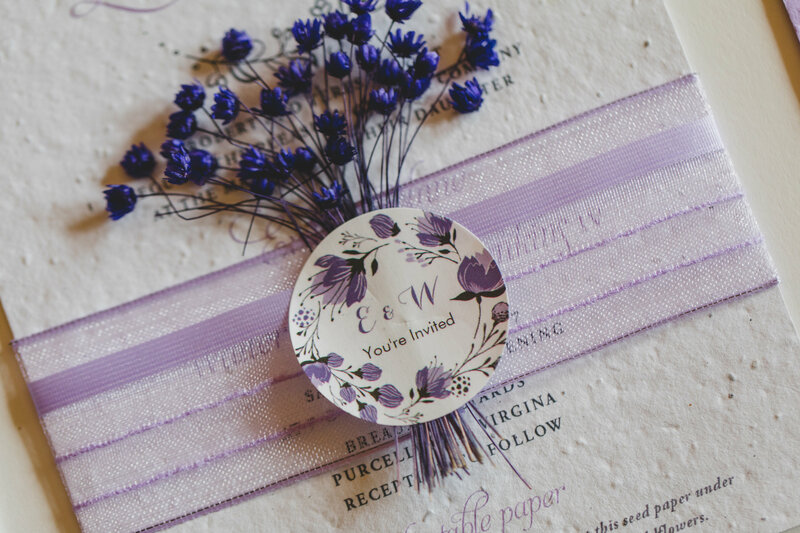 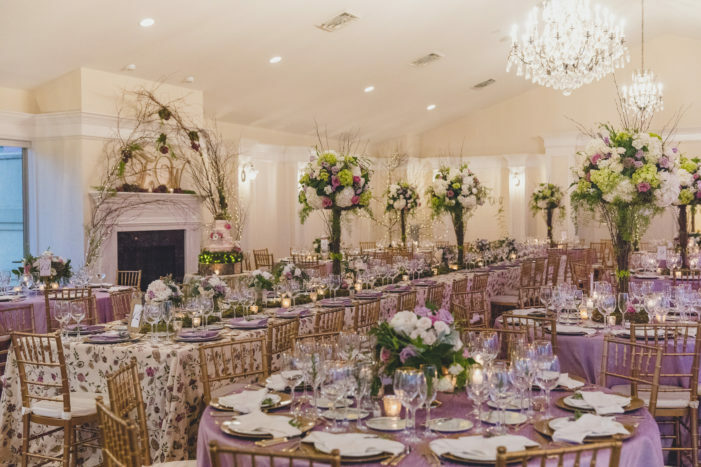 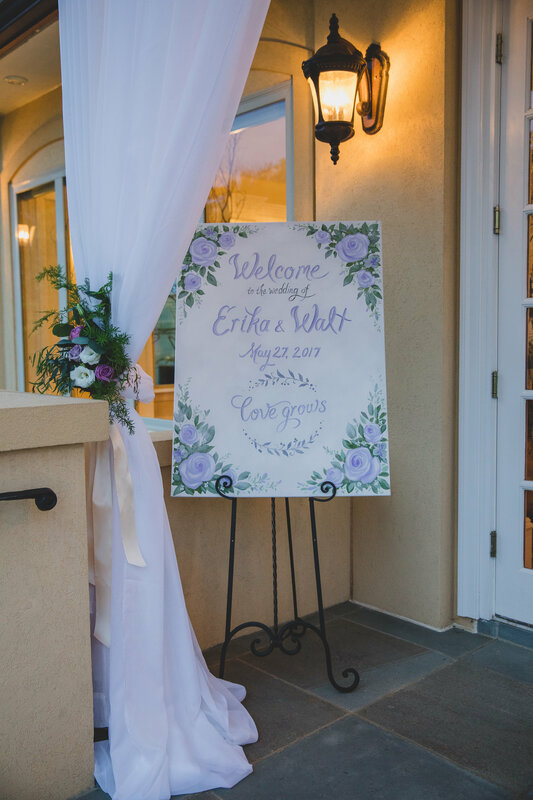 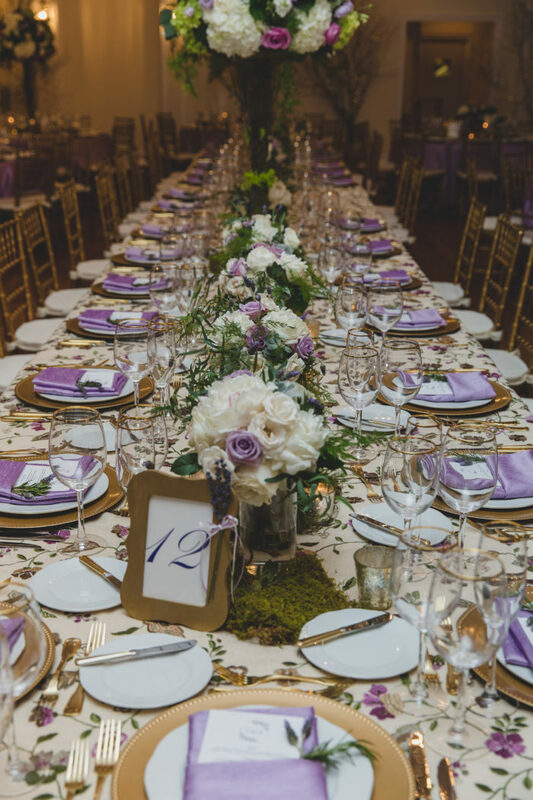 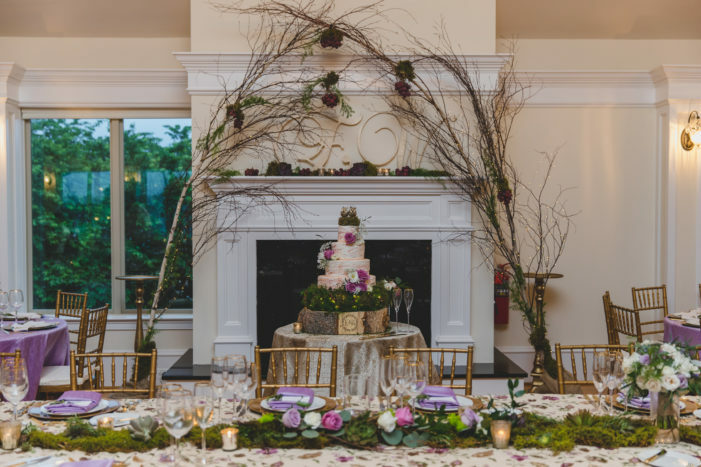 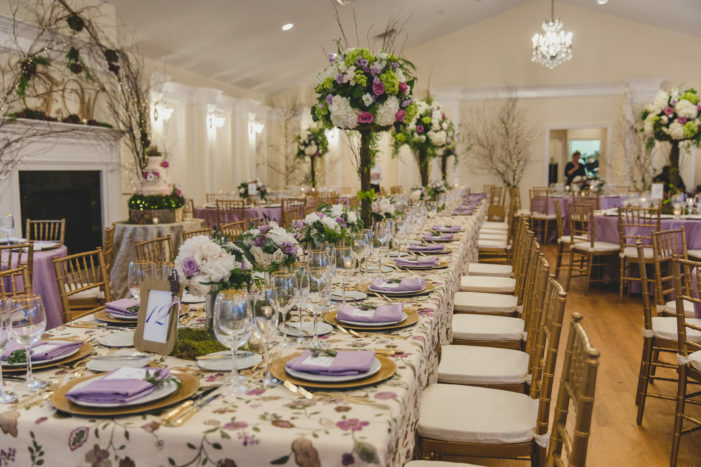 A picturesque setting and the monochromatic purple color pallet gave this wedding the ultimate luxe feel. 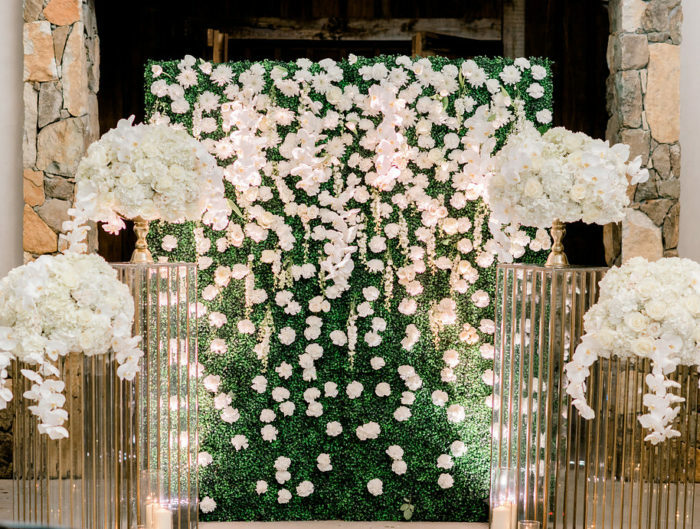 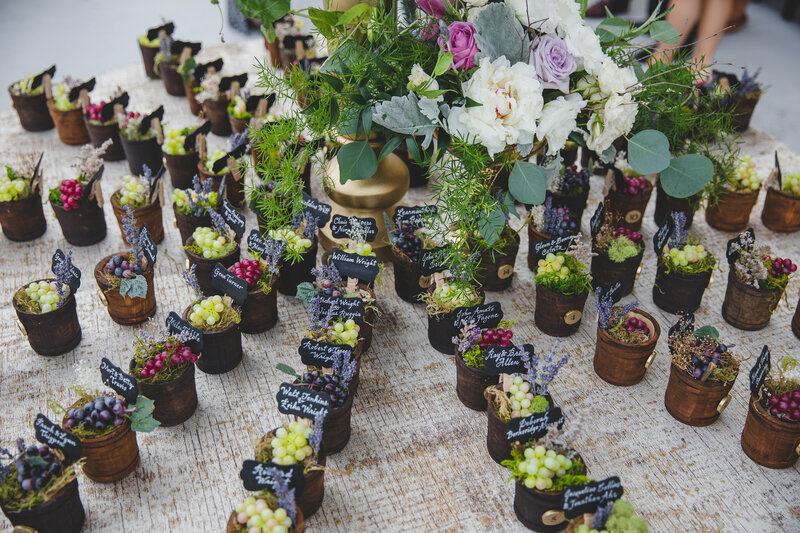 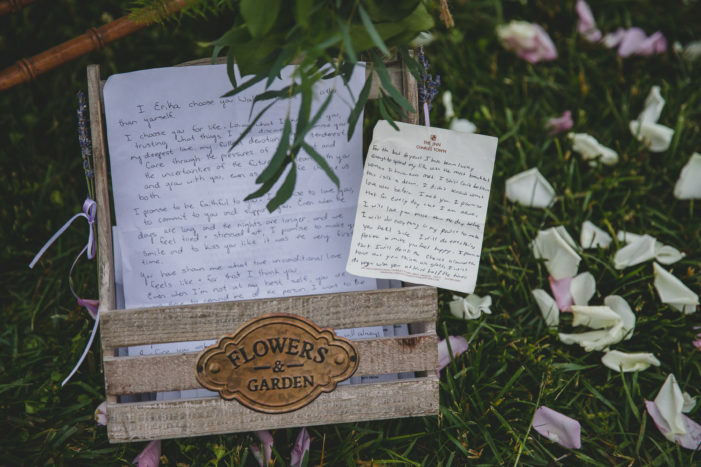 The couple created a secret garden atmosphere for their indoor reception space. 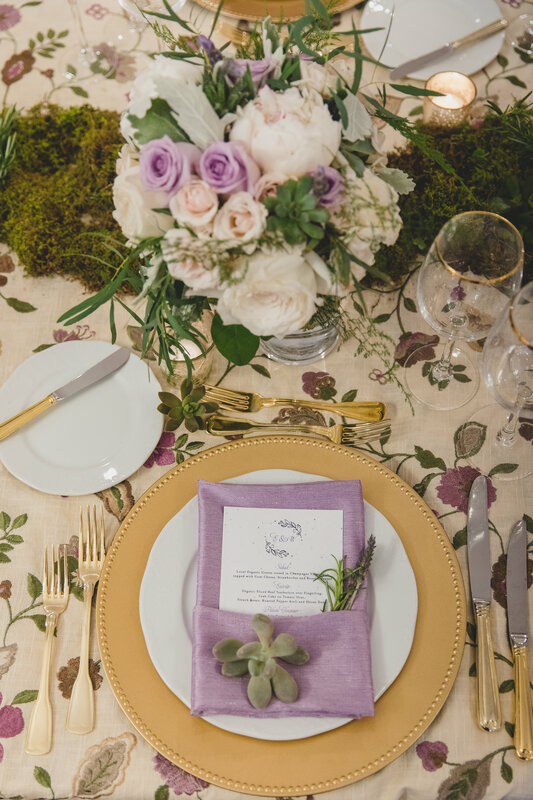 We love the patterned linens and abundant gold accents. 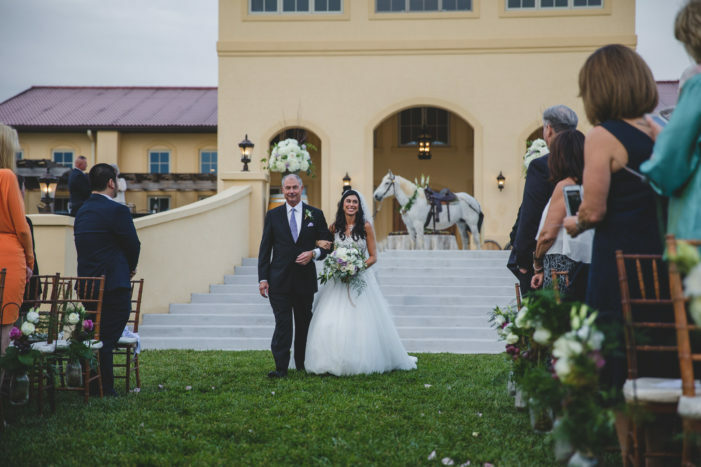 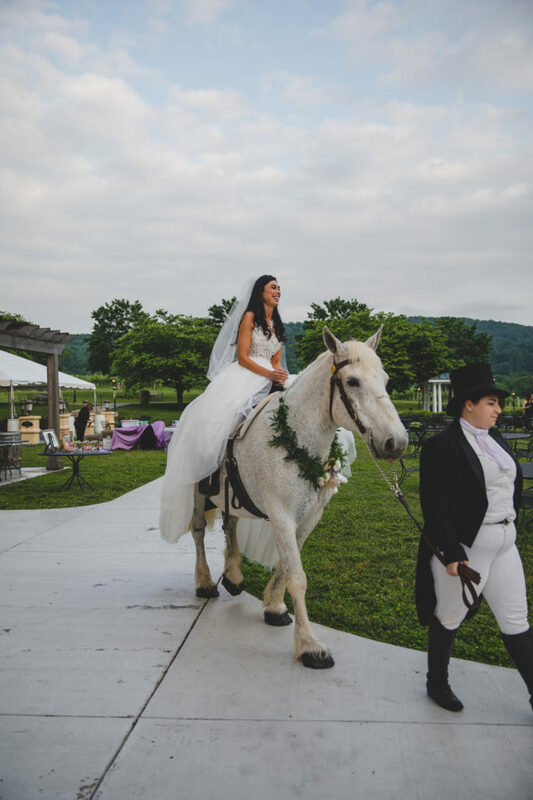 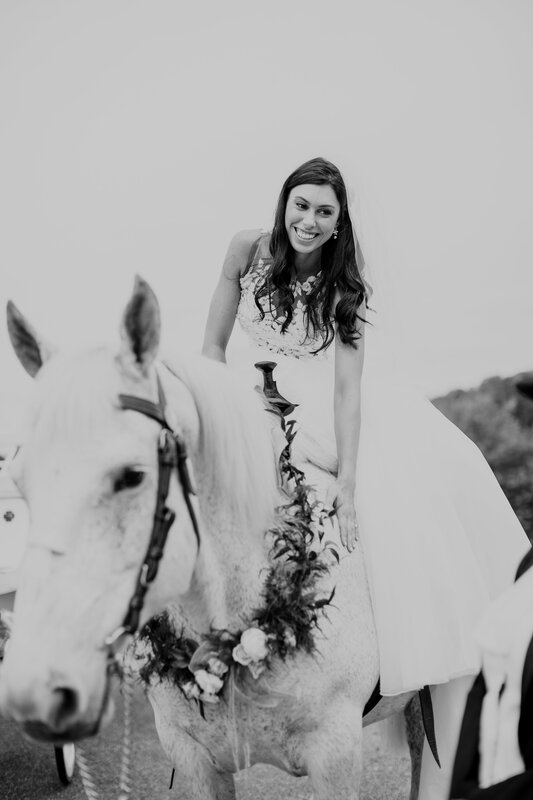 From moss covered custom made tree centerpieces to the bride riding in on horseback, this wedding was surely one for the books. 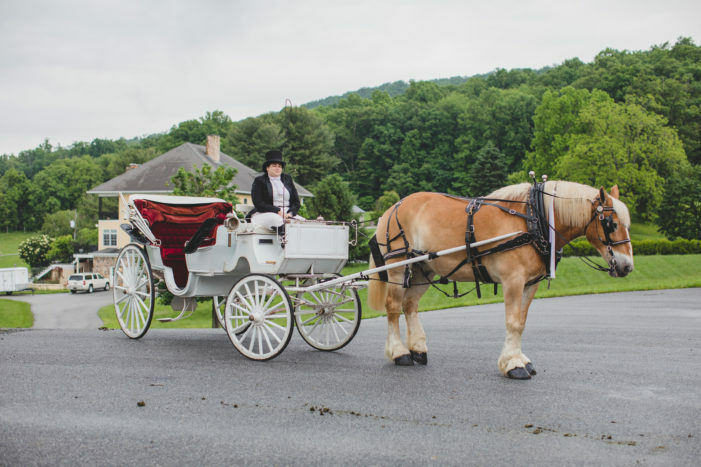 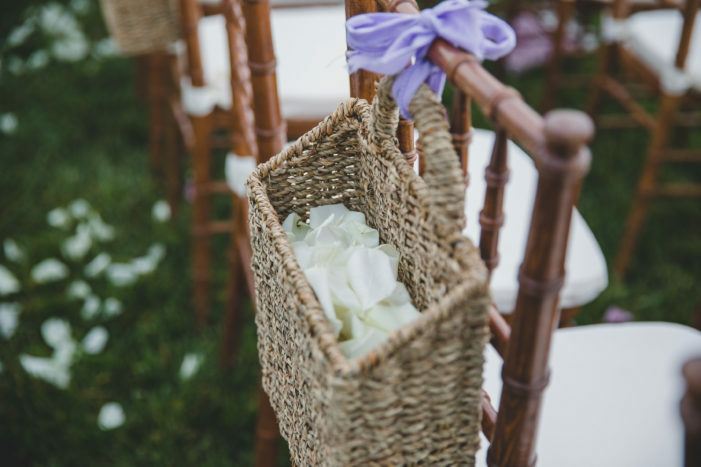 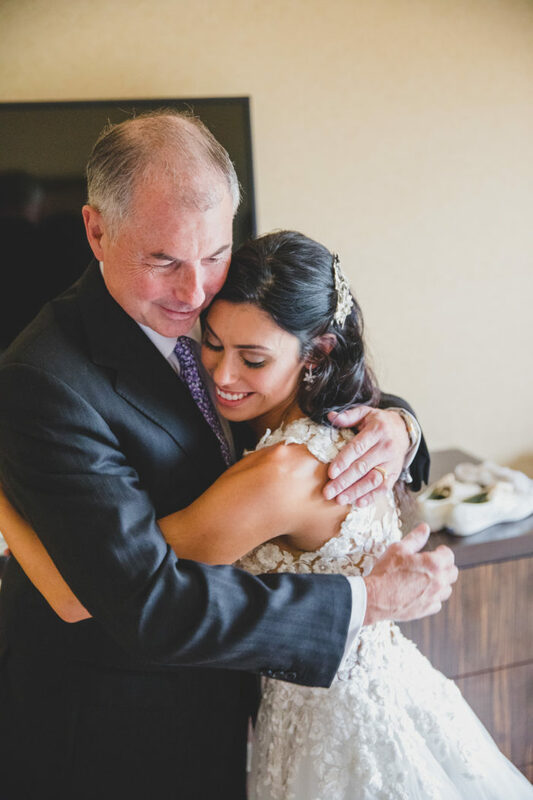 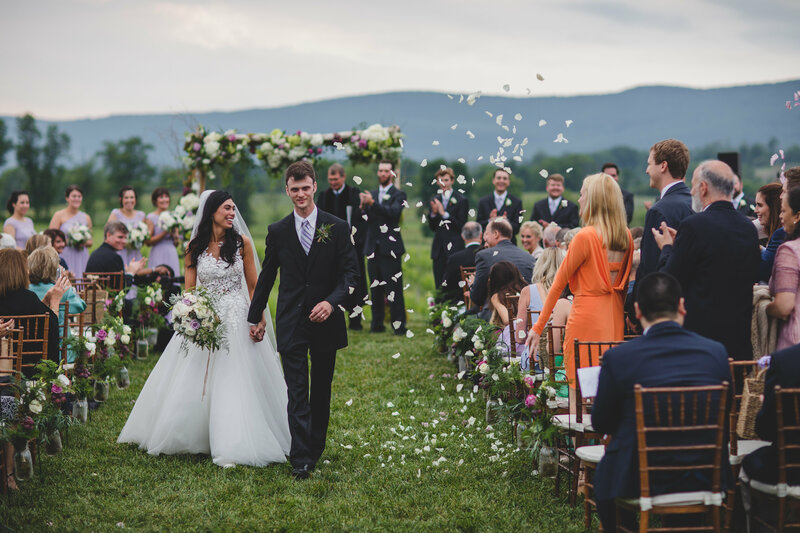 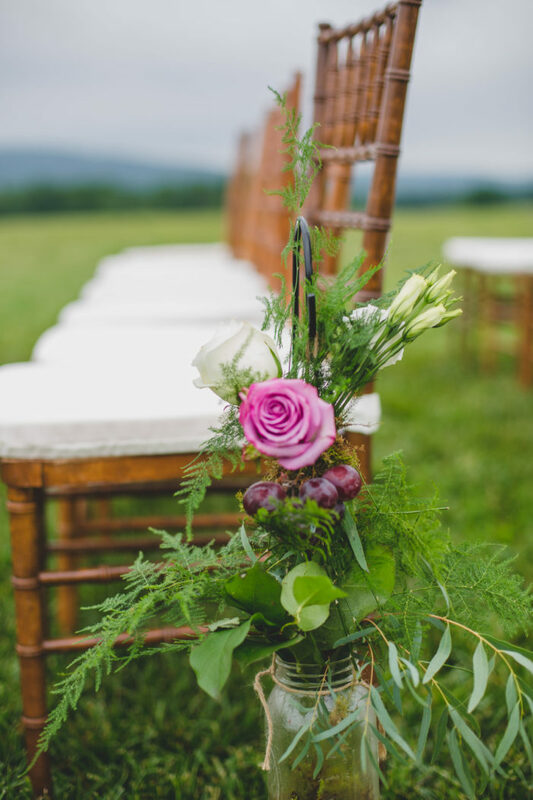 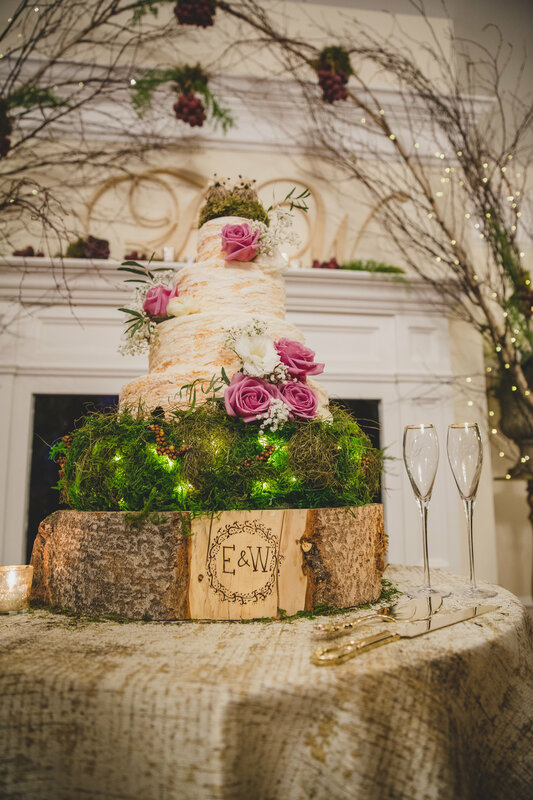 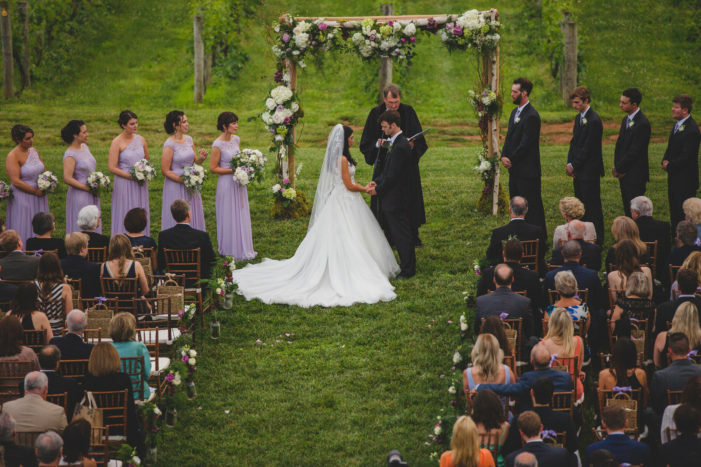 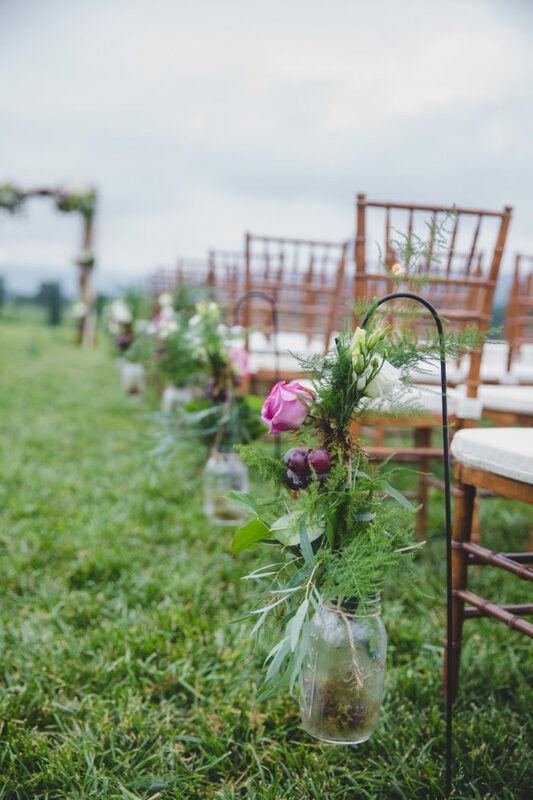 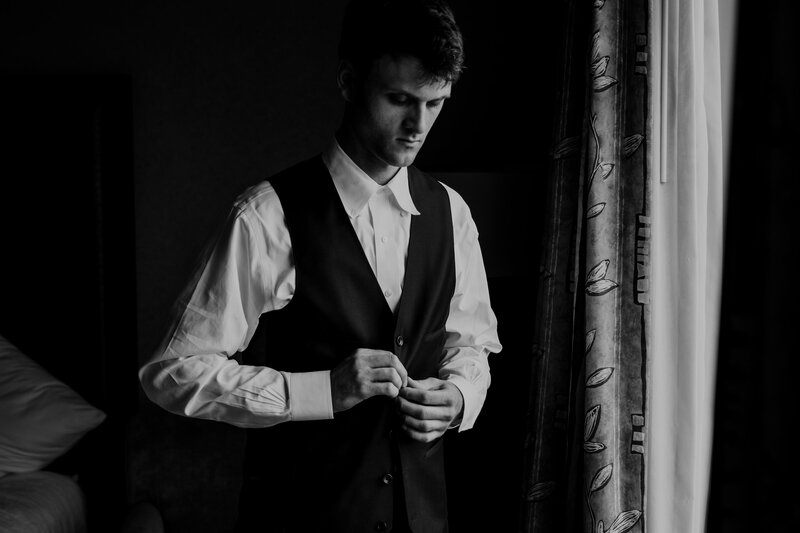 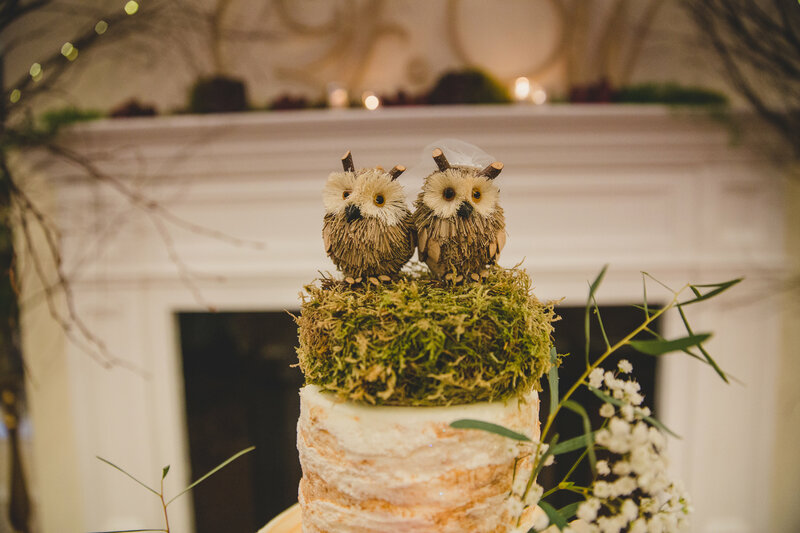 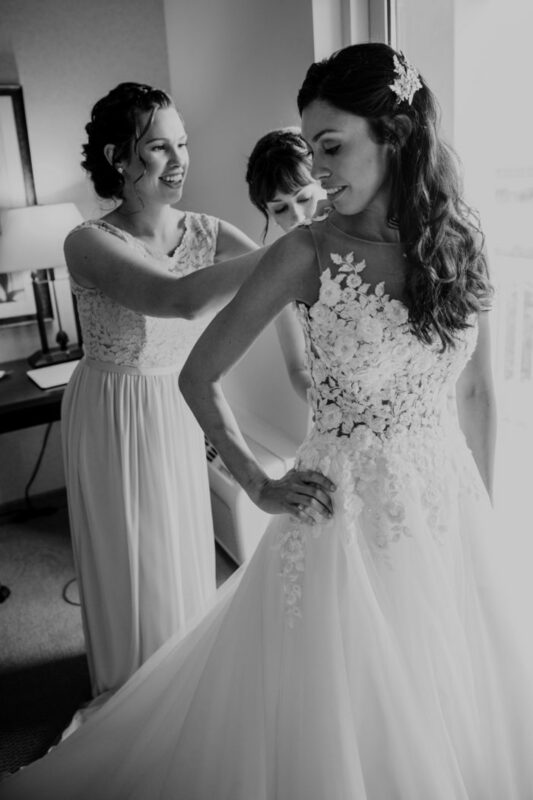 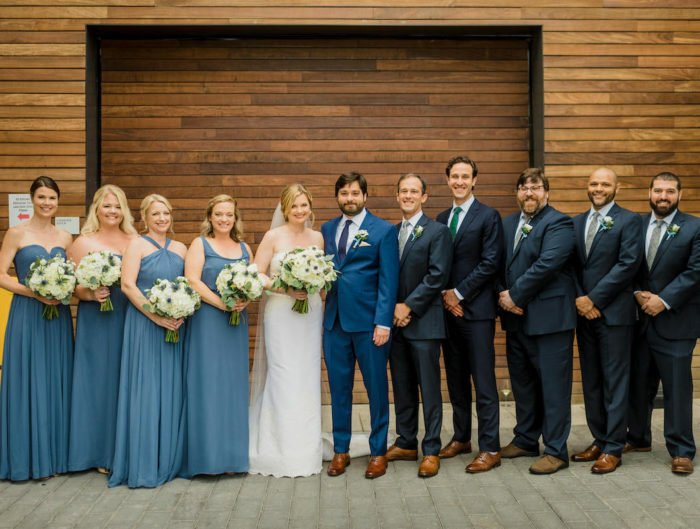 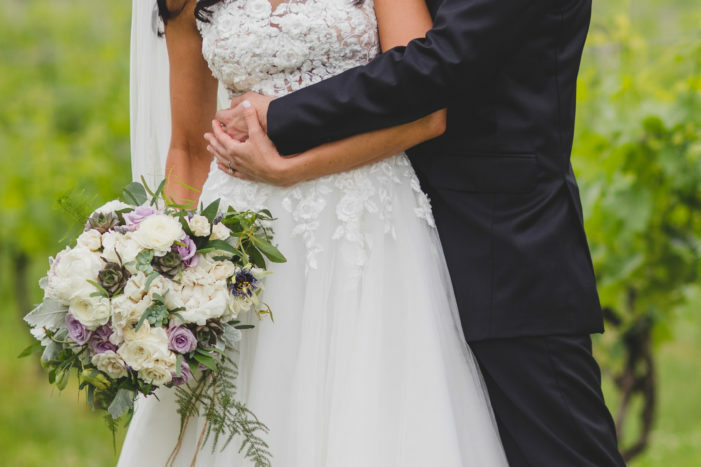 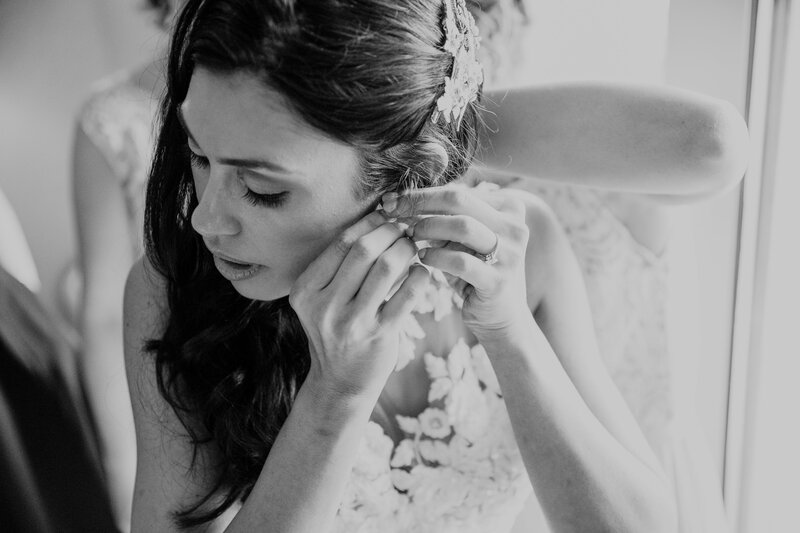 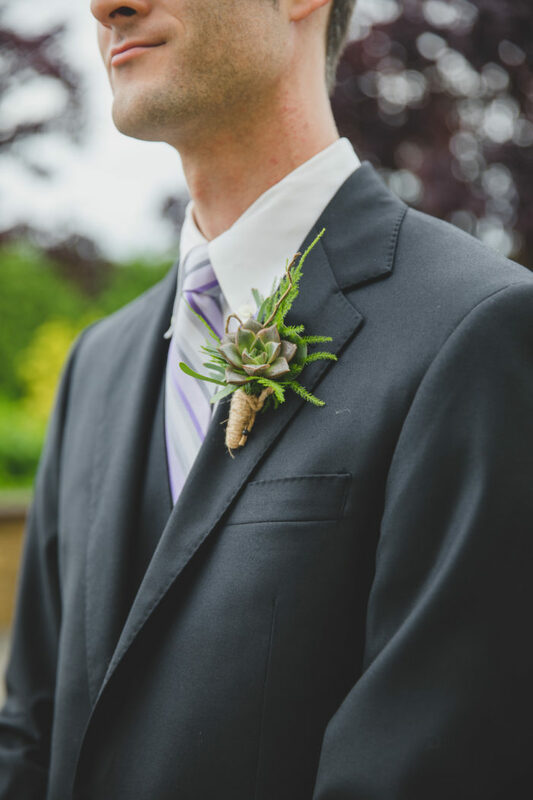 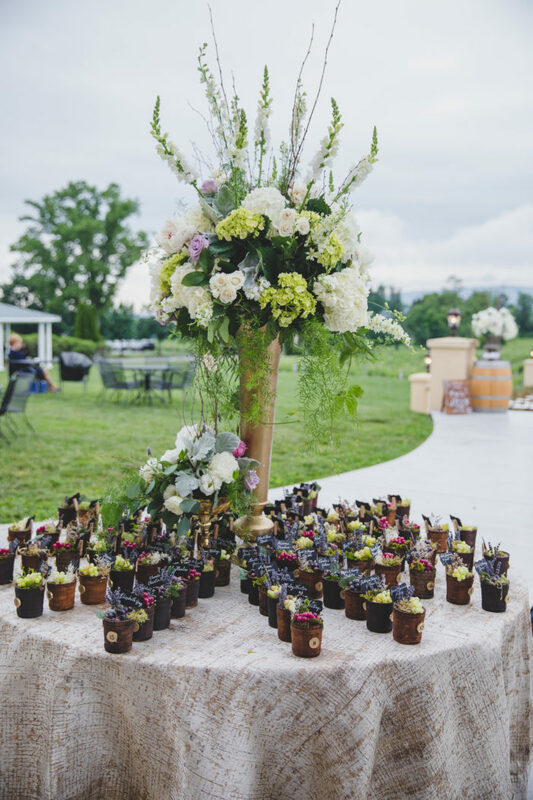 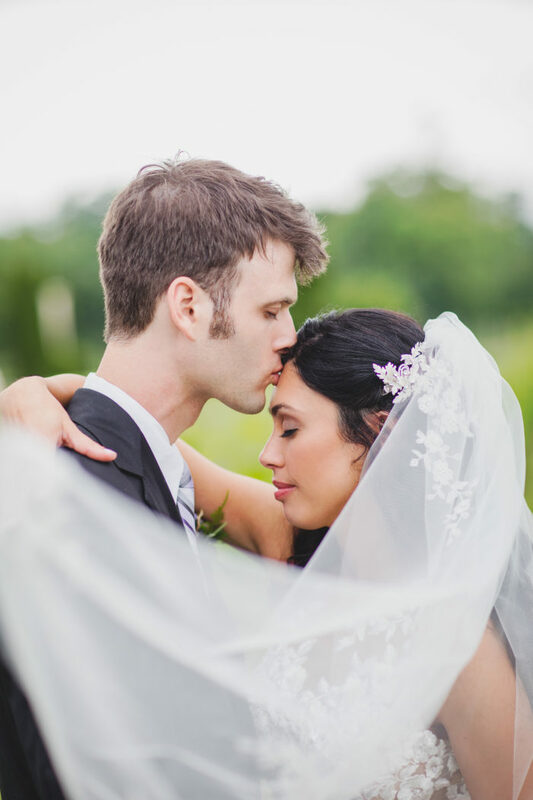 Thank you to Designed Perfectly Events for sharing this Virginia wedding with us today!